Beautiful Incentives: Explore your Univhers! Sponsored by Univhers. All opinions are my own. I am excited to be able to share a new platform that is especially designed for every day women, bloggers and celebrities. One place that brings women and their creativity together in their own univhers. A women's universe to share and learn home decor, recipes, beauty, fashion, travel tips and more. It is the perfect place for those of you that want to blog, but can't find the time. As a blogger of 2 years now, I know how difficult it is to get started. It wasn't easy at all finding my way around the blogging world and I'm forever learning new things every day. 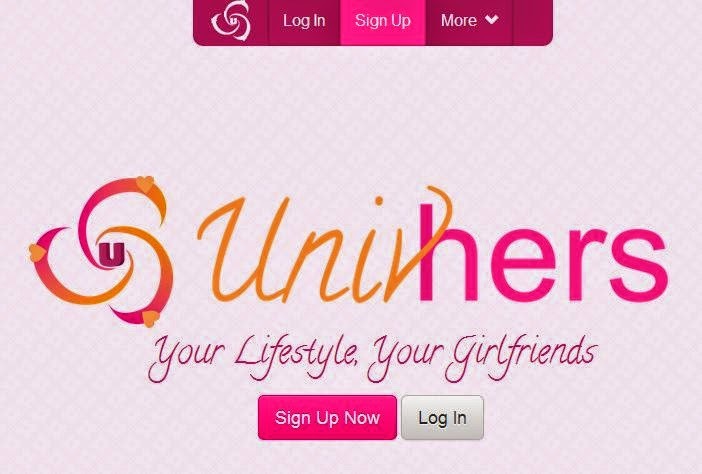 On Univhers you can have your bloggy cake and eat it too. Speaking of cakes, do you decorate them? Make amazing meals and deserts? Are you crafty? Are you spend thrifty? If you are then this is the perfect place for you to get a taste and the benefits of blogger life. Who knows, your amazing post may be shared by a big blogger or celebrity! If ever you do decide to blog, you'll have these links for future reference and linking! If you are a seasoned blogger, it's easy to share all your posts, have them directly linked to your site and connect with others. A great place to network! Logging in is simple. you have the choice between signing up with Facebook or your e-mail. No annoying apps to install and no privacy compromised. I chose to sign up with my e-mail, as I hate everything always being attached to Facebook. You'll get a confirmation e-mail and once you click the link in that you are set to explore your Univhers! Posting is just as simple! 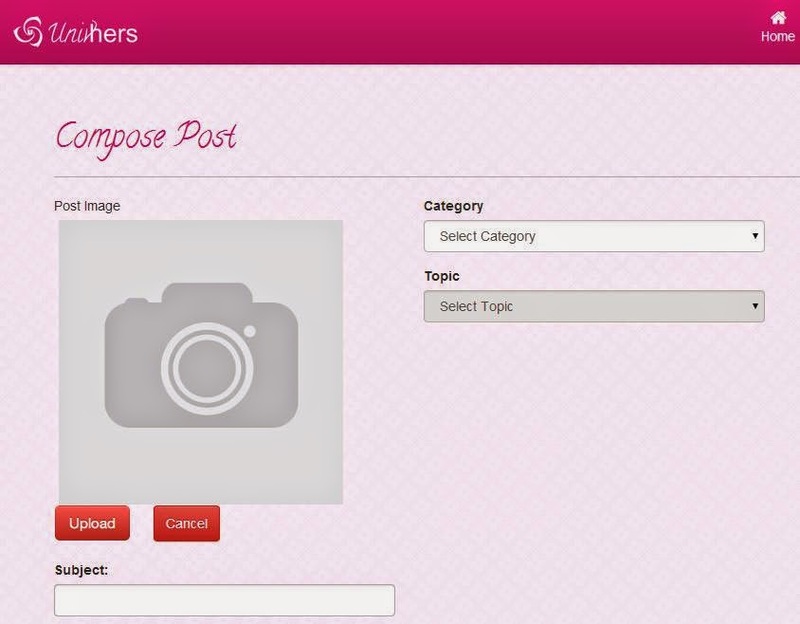 You'll click "Post something" at the top, and you'll find it is very simple and self explanatory to compose a post. Then your post will appear on the front page. I did a post for a 2 ingredient healthy ice cream alternative and you can see the preview under "Your Daily Feed" as well. Choose "Profile" to edit yours to your desire. Make sure to talk about yourself and your blog, if you have one. Then link to it for easy access for others. Every week, Univhers celebrates everyday women and celebs under "Friend of the Week" to get you even more recognition! 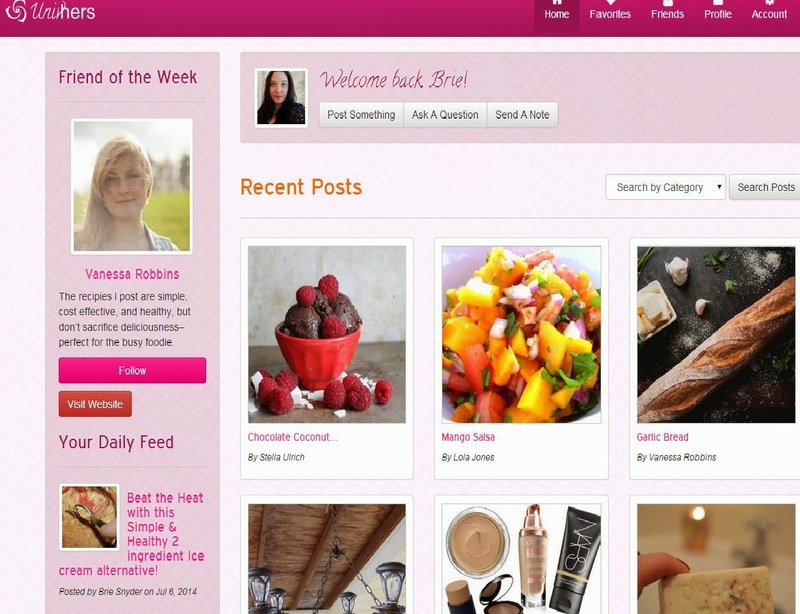 The menu and whole platform is very user friendly and easy to follow. If you see a project you fancy, you can easily follow them for future posts. You can also favorite posts to look back on easier later. There is also an awesome feature to "Ask a Question" to those you follow. Have a recipe or DIY you have questions on? This option is perfect for getting answers. Overall, I find Univhers clever and competitive with the rest of the sharing communities. I think it offers the extra bells and whistles women want. If you want to get your talents noticed and discover others, join today! 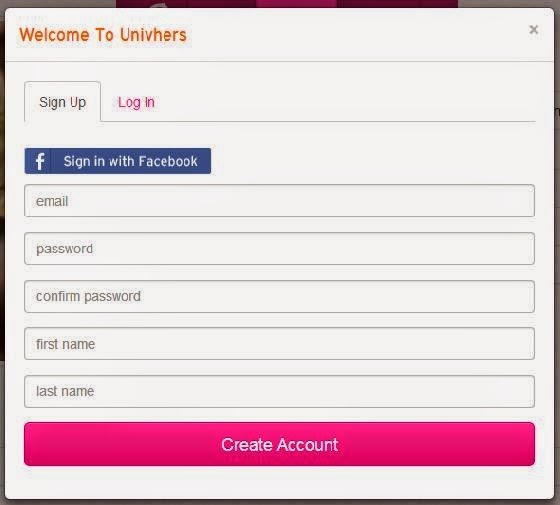 Follow Univhers via their social media.